Hello from Utah! We’re back in the Mountain State, whose name is actually the Beehive State oddly enough. We’re behind on everything, including responding to some (many) comments. But we’ve been reading them all, and we’re excited to get back in the groove of everything. Our whole family functions better when we’re on a schedule, so we’re hoping this is the week that we get that down pat. 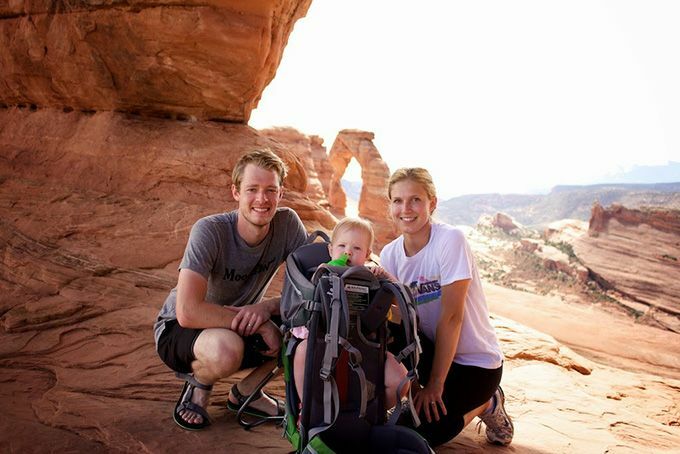 One of the biggest changes with moving from NYC back to Utah was our budget! But before we get into all the ins and outs of how our budget has changed since last month, here are a few more deets on our move west. Why’d you leave New York?! A few months ago, Johnny started working from home, which means his job is now location independent! As much as we love NYC, the cost of living is hard to swallow if it’s no longer a necessity. We also needed more space for his office, which was located in our living room in New York. Either the girls and I or Johnny had to leave the apartment for most of the day in order for him to get work done — not ideal. So we started planning a move back closer to family and more affordable living. We had to wait to finalize the move until someone else signed a new lease with our apartment (since we’d be breaking contract early). That whole process was wild and crazy because New York, and it wasn’t until a couple of weeks before we moved that we even knew it was a sure thing! We’ll really miss the city (of course! ), but we’re excited for some perks of suburbia, too (my own laundry room!). 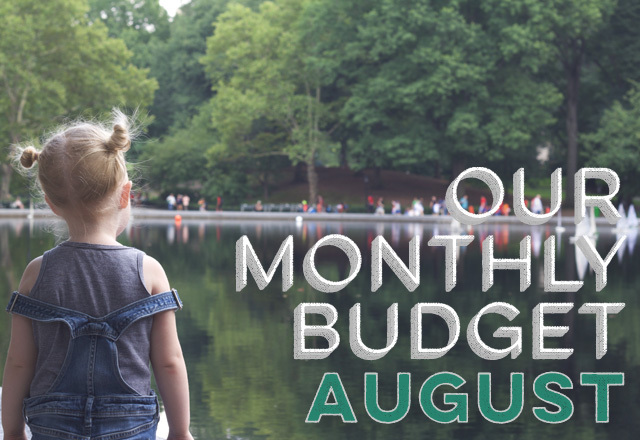 And now onward and upward to our August budget! A few days after we got moved into our new place, Johnny and I sat down and hashed out our budget for the rest of the year in our new location. No more NYC rent! We’re saving a boatload in rent, which we’re very excited about. For the first time ever, we’re renting a house, which means no shared walls or downstairs neighbors to stress over when our two-year-old is acting super hyper (which is pretty much always). That simple fact has seriously cut our stress levels in half. We’ve decided to lower our Food budget by $50 now that we’re living somewhere less expensive, so we’ll see how it goes! Our utilities have adjusted some, and our Non-Discretionary category now has Gas and Auto Insurance within it now that we’re car owners again! Johnny and I were doing a terrible job spending from our Personal category, so we decided to get rid of it altogether for the rest of the year. Instead, we’ve added Clothing as a subcategory to our Everything Else category, so any clothing or personal spending will just come from there. We’ve also gotten rid of Gifts as a rollover category. Instead, we’ll just evaluate our projected Gift spending at the beginning of the month and take it from there. 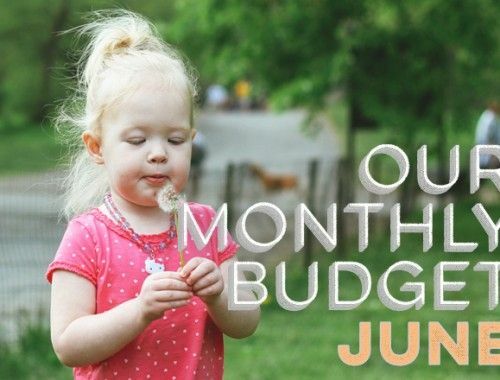 We decided to do this to simplify our budget each month. Just like our Gift category, we removed our Vacations as a rollover category. We’re going to evaluate our Vacation spending from month to month instead. We’re not planning any big vacations for the rest of the year, so we’ll just be evaluating small weekend trips here and there. Long story short, we tried to simplify our budget some and reign in extra spending as much as possible for the second half of this year. We moved ourselves across the country, which cost a few thousand, and we also just purchased a car and a washer and dryer, which also cost thousands. Lots o’ spending. We’ll have separate posts on all of that madness soon. Since none of those were expected expenses for 2015, we’re going to be watching our spending very carefully over the next several months. Life is crazy, and sometimes our budget needs adjusting. So we adjusted it! 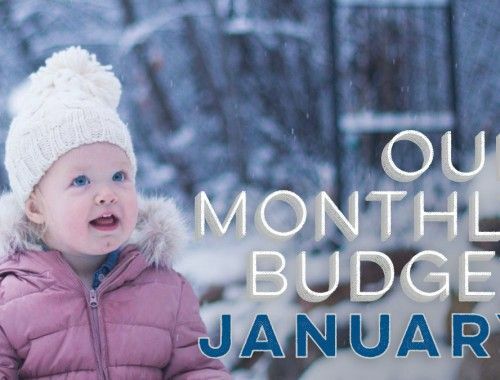 We’re looking forward to seeing how our new budget plays out for the rest of the year. What adjustments have you made to your budget this year? Nice to see you guys setting down nicely in your new home, Joanna. I know that living in a house is much more comfortable than being in an apartment for a young growing family. Your budget should adjust nicely over time. No worries. Just give it time to play out. I predict by year end you might not have saved as much as you had initially intended back in January but your recent expenditures will be under control. As for us, being retired we now have fixed incomes except from our investment incomes and growth, which happily have been doing well. So, although we spent over $30K in housing upgrade projects this year (a one-time event), we funded it all from our investment profit taking. No worries. Budget stays stable and (more or less) predictable. I must live where utilities are outrageous (Texas). I am shocked at how low yours are. And groceries, ugh I need to spend less at the grocery store, lol! Good luck in your new home. I can’t wait to see it. We are in Austin, and the utility bills are insane! It’s awful, and definitely takes a huge chunk of our income. I know! My latest electric bill is $400 and my water is $160. It is crazy. My small town (outside of Dallas) has had such a growth spurt they are warning us that water will go up 10% each year to keep up with demand. My husband and I keep saying it is time to get out of here. Sounds like a good move for you! Moving is always a great reason to adjust the budget. I’ve adjusted mine this year to try to trim it down after some unexpected summer spending. Some of my “fun” categories like eating out, clothing, etc., had to be cut back. I hope I can stick with it for the rest of the year so that I still meet my goals! Hi guys! Welcome back! I’m curious…can you share how you ended up breaking the lease? We are in a similar situation and have one more year on our lease. Did you show your unit or was the landlord helpful in your moving process. Thanks! Congrats on the move! I’m really looking forward to hearing how you guys handled the big expenses – car, washer and dryer, etc. as we’re probably about 13-15 months away from repatriating and needing to buy a car, furniture, rent, etc. We have plenty of savings, but deciding how to liquify some of that without having too much money sitting uninvested is our big dilemma. We have some ideas, but we haven’t picked one yet. I’m also interested to hear if keeping the grocery expenses within the new budget is challenging. I love how you’re reigning it in based on the change in circumstances. I think sometimes we’re so unwilling to make changes and we get so set in our ways. New York living sounds less than ideal with rent costs and working from home! I am, however, completely fascinated by New York. My hope is to one day “live there” for 3 – 6 months in retirement. Not forever, but a nice long visit. Love the changes. We’re also trying to get our spending in check, since our grocery bill is still big. The utilities are also high, we’ve been ‘abusing’ our AC the past month with the heatwave hitting our city. My husband and I do the same thing you now do in formulating our budgets as far as clothing, mini-vacations, gifts, etc. 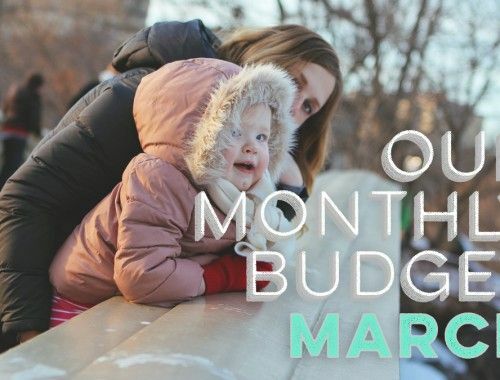 We set goals and save for the big items–future vehicle, my husband’s master’s degree, baby-on-board–and all other items we incorporate into our monthly budget. It makes things SO MUCH EASIER! We aren’t prone to forget expenses or overspend on things like gifts this way. Thankfully, we have about $1000 on a monthly basis that we can move between savings, large “unforeseen” expenses, or debt as we see appropriate. I don’t feel like it slows down our future plan or goals, because that money is always going towards something to help us in the future. I have a question- how do you get your car insurance so low?! We’ve shopped ours around and no one can do better than about $100 a month (and we have pretty great driving records/no accidents/etc.) Just curious! If there is a secret to save more money there I’d love a post on it! It’s always easier to live around family when you have kids. Also, Utah is a great place to live and cheaper. Not surprised at all that you moved back. That savings will become college accounts for the girls. I have always been intrigued by your food budget. In NYC it was STILL lower than ours and my wife and I don’t have kids yet and we live in North Carolina! If you can’t answer in a comment, I would love a detailed post on how you buy your food and keep this expense so low! My wife and I try to eat healthy and not waste food, but it seems like we always end up over budget in this one category. Any tips? I think that you’re making a good decision. I was also planning to live in London all my life but when you grow up and have kids you start thinking of how to have your life at more affordable and quiet place! I move two years ago away and I feel much better! Good luck! Thanks for sharing!